Air101: Icelandair launch Berlin service. 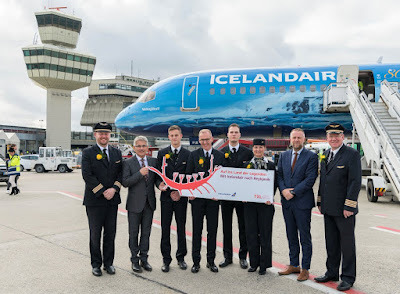 Icelandair launched a year-round service from Berlin-Tegel Airport yesterday, the flight departed at 1.05pm with Icelandair CEO, Birkir Hólm Guðnason and Berlin Tegel COO, Elmar Kleinert at the gate to welcome the boarding passengers and help celebrate the new route. Icelandair‘s new service will operate three flights a week on Mondays, Fridays and Sundays between Reykjavik and Berlin with onward connections to 20 destinations in North America. “Berlin is our 4th gateway in Germany and establishes our commitment to strengthen our transatlantic route network by providing passengers with more convenient connections between Europe and North America. Berlin, the capital city of Germany, has a rich history, diverse culture, and vibrant nightlife, which we look forward to sharing with our passengers,” said Birkir Holm Gudnason, CEO of Icelandair. Icelandair has been flying since 1937 and has a long and illustrious history of bridging North America and mainland Europe through Iceland. 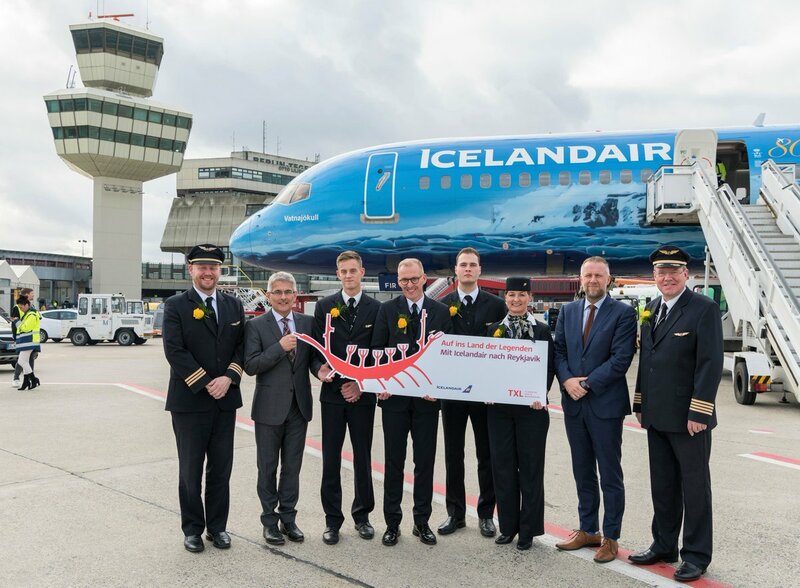 The airline has helped boost tourism to its home country in record numbers and in bolstering Iceland as one of Europe’s hottest destinations. The stopover package the carrier has reintroduced recently has won fans from all over Europe. "Loved the ability to spend a few days in Iceland to and from Washington." Alex George, a 21-year-old student from Kent told us. "Iceland is an amazing place, it has great nightlife, loads to do and the scenery is just out of this world!"